Donations make a difference in many ways for our school ministry. We seek to glorify the Lord through our mission of Christian education excellence for our students and their families. Each year, the Annual Fund provides educational resources, outside of the normal operating budget, which are instrumental in providing excellence in academics, fine arts, and athletics for our students. Last year’s Annual Fund events helped complete schoolwide technology infrastructure, finalize elementary iPad deployment, purchase a mini-tour bus, make more needs-based scholarships available, assist with new storage facilities, and fund a Founder’s Day Annual Family Celebration. 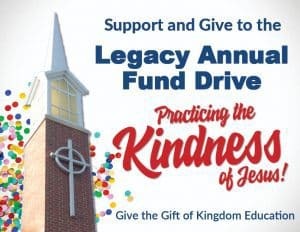 2018-2019 Fundraising Theme: Practicing the Kindness of Jesus! demonstrating the love of Christ by giving our time, talents, and treasures in service to Him and others. Examples of true kindness are where someone through giving returns good for evil, gives honor to whom honor is due, brings joy out of sorrow, and/or shows the worth of a person. We live in a world gone wild and we need to “Tell the Story” of Jesus by “Practicing the Presence of Jesus” in our words and deeds. As believers, we are image-bearers of the King of Kings and Lord of Lords. What better way to bear His image than to practice the kindness of Jesus! 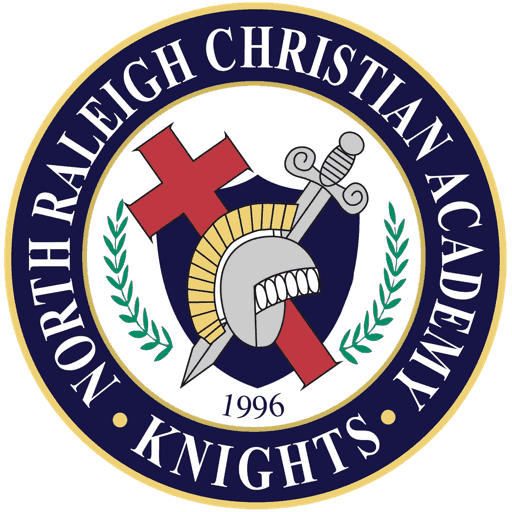 Kingdom education at NRCA is a life-long, Bible-based, Christ-centered process of bringing children to Christ, building them up in Christ, and equipping them to serve Christ so they can reach the next generation. May they see the kindness of Jesus as we give for His glory! NRCA will engage in our annual Boosterthon Fundraiser April 8-18, 2019. We are excited to welcome our Boosterthon Team who bring such great character lessons, enthusiasm, and encouragement to this fun event. 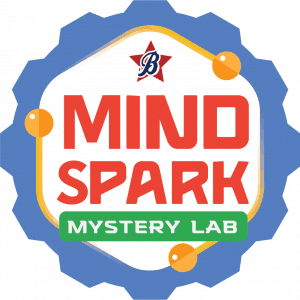 This year’s Mind Spark Mystery Lab is a S.T.E.A.M. integrated, science-infused, mystery theme all about learning to solve problems using specific character traits. The character traits are Citizenship, Teamwork, Integrity, Zest, and Growth Mindset. We will begin April 8, 2019 with pep rallies (12:00-Grades 6th-8th, 12:50-Kindergarten-5th, and 1:45-Grades 9-12). The two-week program will conclude on Wednesday, April 17, 2019 with the Middle School/High School Color Run and Thursday, April 18, 2019 with the Kindergarten-Third Grade Fun Run and the Fourth-Fifth Grade Laser Run. Families will then gather pledges with our big goal of raising $65,000. The Golf and Tennis Classic is one of the most exciting events of the year. Seventy-two golfers and twenty-four tennis players along with event sponsors, hole sponsors, and auction donors help raise more than $100,000. Parents and friends can play, support others who play, sponsor a corporate team, sponsor a golf hole, and/or provide an auction gift. 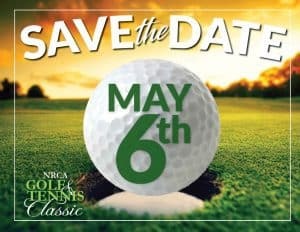 If you would like to play golf or tennis, advertise your business, and/or provide an auction gift, contact Tonya Hayward (thayward@nrcaknights.com), Karen Blom (kblom@nrcaknights.com), or Dr. Sherrill (sls@nrcaknights.com). Over the years, the Golf and Tennis Classic has provided many wonderful educational enhancements including a grand piano, greenhouse, pool bleachers, school buses, SMARTBoards, 70” high definition televisions, video projectors, and needs-based scholarship funds. It also helped to make the Next Step major school expansion a reality. When you make a donation to NRCA, your employer may match your gift. Please check with your human resources office to find out if your contribution is eligible for a match. Also, If you give through the United Way, you can designate your gift to NRCA, as a qualifying non-profit. Gifts of appreciated stock or other assets, bequests, and charitable gift annuities are all ways to make a tremendous, long-term impact on our school and mission. If you are interested in this type of giving, please consult your financial or tax advisor for the benefits of each charitable donation to determine what best suits your financial situation. From musical instruments to library books to carpentry tools and computer equipment, if you have an item that you think the school might be able to utilize, please contact the Advancement Office or the specific area of the school that may benefit from this type of donation. Through parents supporting the Target, Harris Teeter, Food Lion, and Kroger For Education programs and proceeds of the School Store, School Supply Packs, After School Café, Box Tops, and Cookbooks the Parent Volunteer Association has provided funds for many activities of the school like die cuts, paper cutter, cabinets and a sound system for the Student Life Center, a screen and portable projector, a food warmer, teacher training for SmartBoards and All Kinds of Minds, elementary teacher resources, an iPad cart with 24 iPads for elementary, etc. If you are not a member, consider joining. Membership has its privileges! Find out more on the school website under Campus Life, Booster Club Membership. Through memberships, sporting event gate receipts, concessions, and this year the Innisbrook fundraiser, the Booster Club provides important funding for our athletic and band programs. Funding that continues to enhance these programs, while not impacting the general operating budget. Athletic examples include: athletic uniforms for most sports, referee fees for all games, football helmets, football video system for filming games, headsets for football coaches to communicate during games, and recess equipment. In just the past few years, Booster Club funding for our band program has provided: Color Guard uniforms, Marching Band Flags (annual purchases), Band Uniform Accessories and Supplements, Instrument Cases and Accessories, 3 Tenor Saxophones, 4 Convertible Marching Baritones, Bass Trombone, 4 Concert Toms and Stands, Midi Wind Instrument, DTX-12 Digital Percussion Pad, Stagepass 500 Portable Speaker System for Percussion Pad, Electronic Keyboard, Field Timpani, Video Camera, and Transport Cart (Marching Band).